If you want a format other than .mobi, send me an email and I’ll see what I can do. 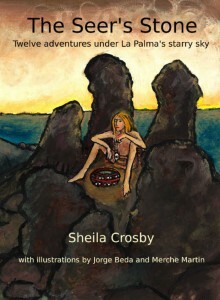 Sheila Crosby is originally from Leeds, but she lives in the Canary Islands, just off the North West coast of Africa. She caught the writing bug at high school, and she still hasn’t found a cure. 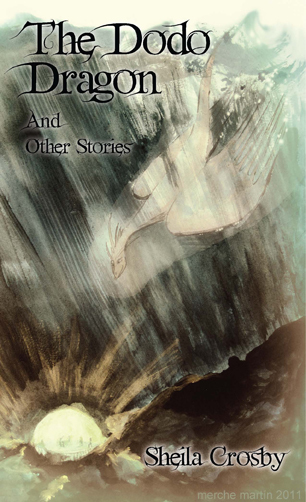 Over the years, she’s sold over fifty stories, plus a handful of articles, but “The Dodo Dragon and other stories” is her first anthology. Two of the stories take place on the island of La Palma, where the author has lived for over twenty years. The Ibble took great interest in the Earth Ambassador’s pregnancy. A trillion miles was a long way to come for revenge. I grinned. The Cult of the Bathtub would have to go much further than the Oort cloud to escape me. Sweet sister, my husband grows more violent. Agonized screams ricocheted off the grey metal walls. Hopeless and bewildered, Helen cuddled her newborn son. His tiny mouth opened like a great red tunnel, and his knees jerked up to his belly in spasms. I threw the magazine across my living room as hard as I could. Its pages made a wiffling noise as it flew, and hit the wall with a twick. Then it fluttered to the floor still in one piece.Frankly, I’d hoped violence to an inanimate object would prove more satisfying. Dan Gaunt squirted half a tube of Tabasco into his chilli. It still tasted like ashes. He shovelled it in anyway. “This was part of my inflight reading. If you like tongue in cheek retro sci-fi, often filled with bad puns, much in the vein of those 50s & 60s anthologies, with a twist of Ellison, Sheckley or Silverberg, then you’ll find stuff in here you’ll like. In the spirit of true honesty, I’ll admit that Sheila’s my cousin (or, more accurately, second cousin once removed, or something), and I probably used to pull her hair when I was younger. I’ll also admit that I didn’t like every single story in the book, but that’s perfectly normal for short story collections. However, it did have me laughing out loud on several occasions, which resulted in some perplexed looks from my fellow passengers, since, unlike everyone else on the plane, I obviously wasn’t laughing at Johnny English. “Almost all the stories are witty and amusing. Many of them with surprise endings, a talent that Sheila often uses in her stories. Some of the stories are set in the Canary Islands where Sheila lives and provides with a setting that isn’t seen in too many stories. 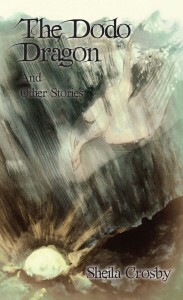 This collection has something for everyone and a story to fit every mood, from the poignant tale of the last dragon (The Dodo Dragon) to the zaniness of Jose’s AI appliances (The Appliance of Science), who plunk him down in the middle of the sardines’s funeral procession—a Canary Islands carnival tradition. 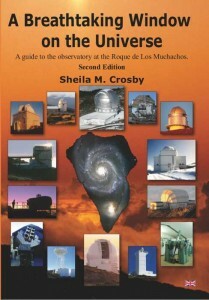 Crosby, a British expat living on the Canary Island of La Palma, also draws on local color for a unique alien contact story (Zuggy Zu and the Humans) which offers some insights as to what really goes on in the observatories. There’s plenty of drama in the time travel story, “Scream Quietly”, as well as in “Breathing Space”—an asteroid mining disaster in which a desperate mother finds a new use for the freezer. I won’t hint at the ending of “Infant Colic” but it might make you shudder. Sprinkled liberally in between are a delightful assortment of “Feghoots”—short-short stories featuring elaborate and atrocious puns. .pdf , which can be read on almost any computer. If you want a different format, please contact me.